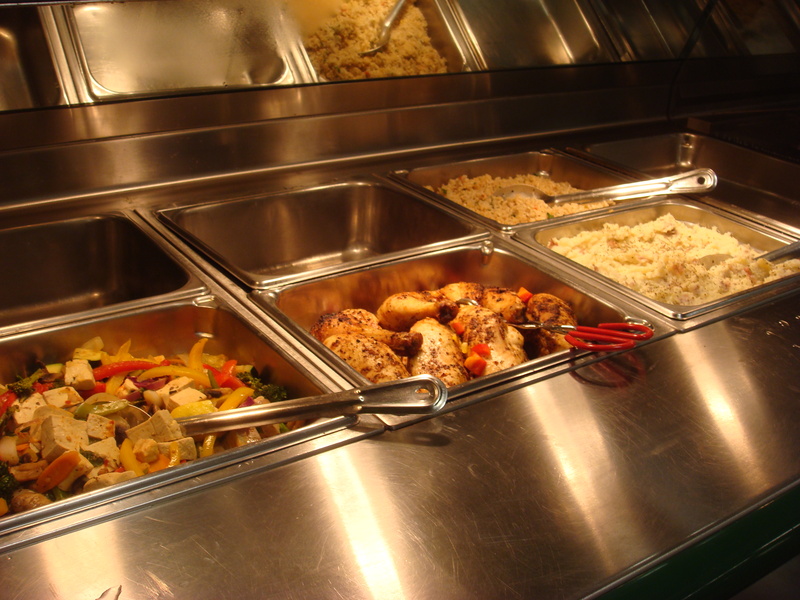 The return of Ada’s… | There is no sincerer love than the love of food." our mix for the day..
had a ton of vegan goodies..what??). I asked the girl at the counter if they had any vegan baked goods, and she looked bewildered and then told me that they had “chocolate mousse” .. I don’t think you bake a chocolate mousse? Needless to say they had NO vegan goodies for me, despite the fact that the menu says “Vegan Carrot Cake Cupcake”. If it is on the menu, then it should be available daily..or it shouldn’t be on the menu. The cupcake also cost $4, that is a little steep for what they offer up if you ask me. We got a cup of the small soup it didn’t have a tag for what it was but I believe it was some kind of a “Veggie Barley Soup” ($4.99) Barley with a Tomato base and Veggies. 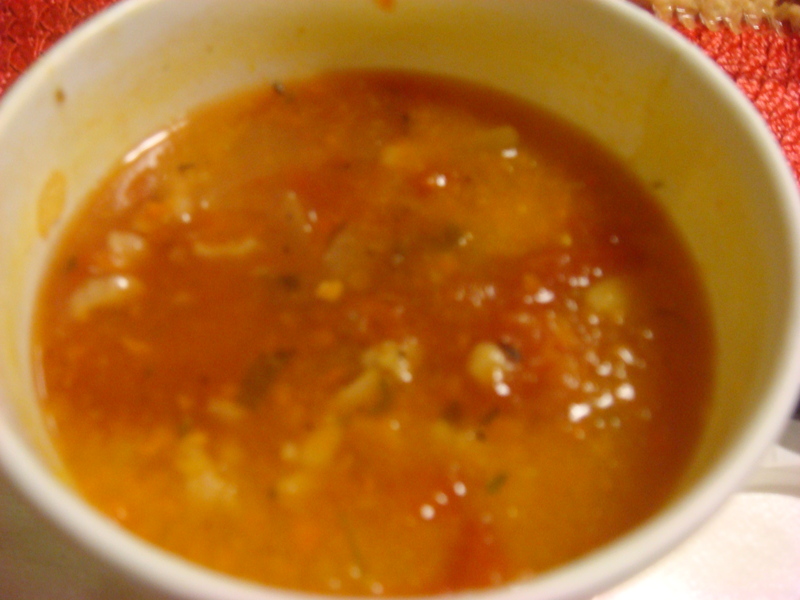 The soup was pretty good, slightly bland but it was hot and had a lot of veggies. 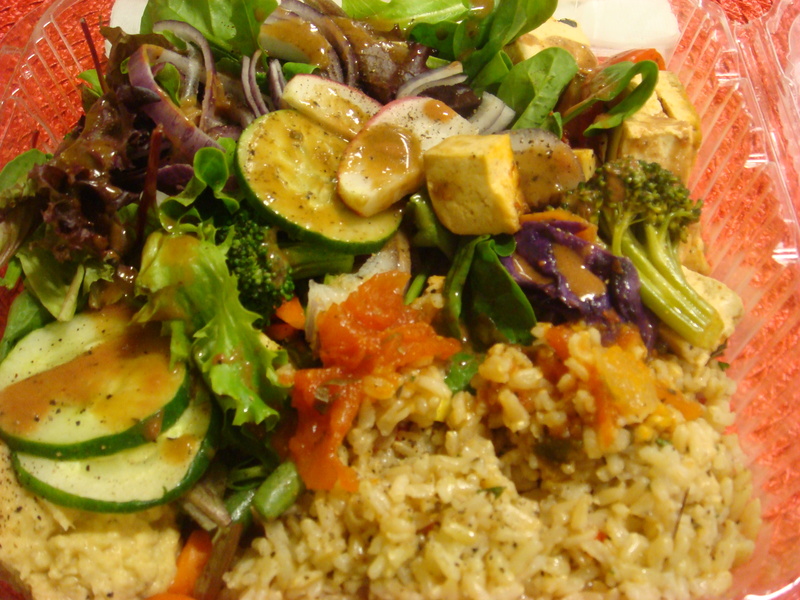 We then decided to try the dishes at the hot bar (only 2) “Hot Bar Mix” ($7.99/pound) A Tofu Stir Fry, Mixed Veggies, Salad, and a Rice Dish ( once again no tag, so I have no idea what was in it, just that it was vegan). Overall the food was ok, nothing to exciting, like the soup most of it was pretty bland. The rice dish had the most flavor and tasted pretty good. 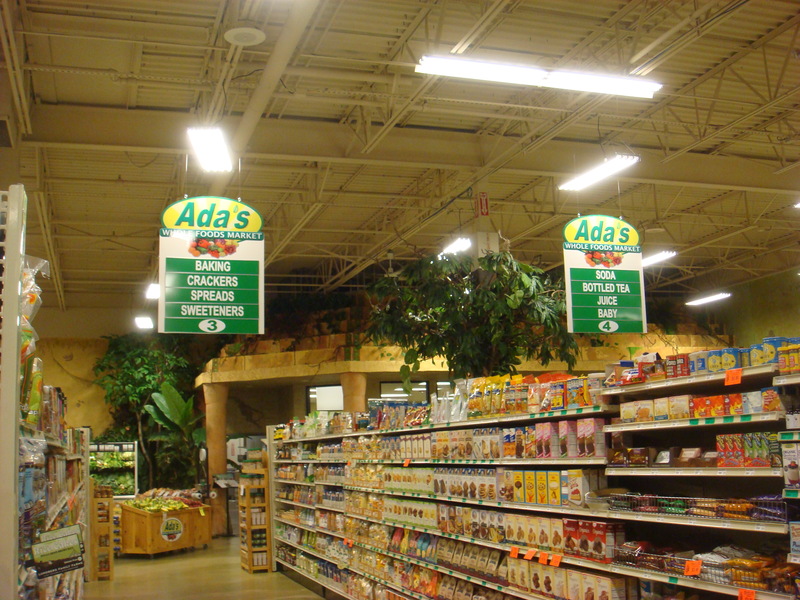 I can’t say that I’ll eat at Ada’s again, they don’t have any vegan baked goods ( I went by another day in the week to check and nothing still), and limited vegan hot bar items that aren’t anything to special.. 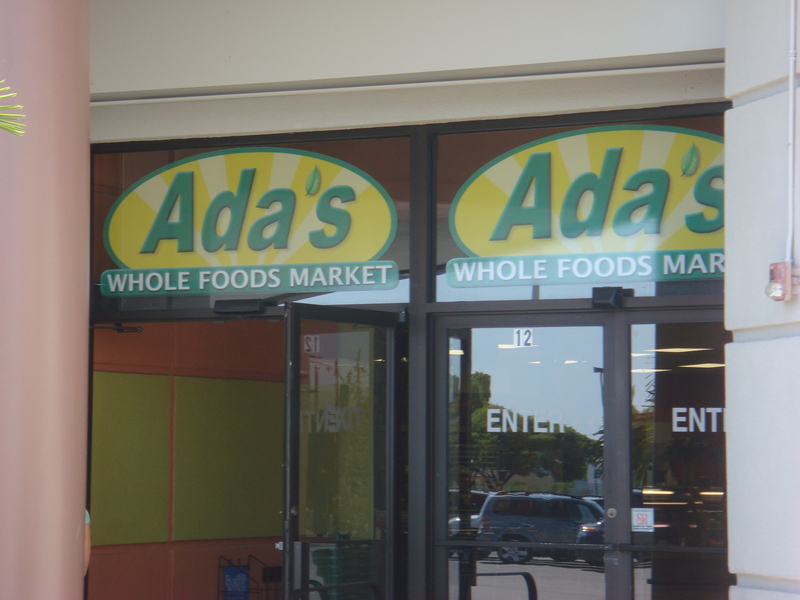 I really wanted Ada’s to be as amazing as before, but I guess the cafe just isn’t the same spectacular place it was with Chef Brooke in the house! Previous Vegan Ice Cream in Fort Myers?? Next Breakfast when you want it:) !